Is Shingo Right for Your Team? GBMP is proud to be a licensed affiliate of The Shingo Institute. The Shingo Institute is a not-for-profit organization housed at Utah State University and named after Japanese industrial engineer Shigeo Shingo. Dr. Shingo distinguished himself as one of the world’s thought leaders in concepts, management systems and improvement techniques that have become known as the Toyota Business System. Dr. Shingo received his honorary Doctorate of Management from Utah State University in 1988, the year the Shingo Prize was initiated. The Shingo Institute’s mission is to guide leaders in creating sustainable cultures of excellence based on principles. The Shingo Institute’s vision is to be recognized as the global thought-leader in enterprise excellence. Three fundamental paradigm shifts are embedded into the Shingo Model™ for organization improvement. When these new paradigms are well understood and acted on, cultural transformation can be accelerated. There is a clear and strong relationship between principles, systems and tools. Operational excellence requires focus on both behaviors and results. Business and management systems drive behavior and must be aligned with correct principles. The principles associated with the Shingo Model™ apply in any industry, any geography and at any time. 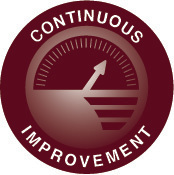 These principles are ultimately most of the “Why am I doing this?” behind Lean, Six Sigma, Total Quality Management, Just-in-Time, Quality Circles, and other programs for business improvement. GBMP President Bruce Hamilton discusses the Shingo Institute Workshops which we offer all year long, all around the country. GBMP's Certified Shingo Institute Courses Facilitators are also Senior Shingo Prize Examiners and former Shingo Prize recipients! ​"Pat may well have been the best instructor I have ever had. I am grateful for the time I got to spend with her and regret only how quickly time passed leaving so much more she could have taught us. She did a terrific job explaining The Shingo Model and how it relates to our organization. Her mentoring during the Gemba exercises was excellent." "Bruce and Dan were both excellent at not necessarily answering questions, but leading people to ask better questions. In turn this reflection drove a much deeper understanding of the model and the guiding principles. They were both outstanding teachers that led and directed the group discussion." 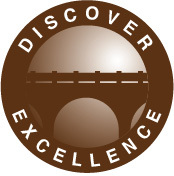 ​"DISCOVER Excellence is an excellent course and Larry is an amazing facilitator. It was two very well spend, valuable days and the host site was amazing too!" "Larry is a very thorough instructor and easily applied the model to "real world" manufacturing operations. I highly recommend the courses and Larry!" ​"I must commend Pat & Bruce as instructors. They were on-point/task, would steer us as necessary, give feedback appropriately, and were warm and approachable. In fact, if I get the opportunity to the the next several Shingo workshops, I'll only do it with GBMP." "Mr. Anderson is an excellent instructor; his obvious dedication and passion for the subject helped me gain a better understanding of the course objectives and material. The lectures were engaging and I left with a much, much better idea of what we need to do as a company to continue to grow using the Shingo Model." "Larry was humble in his approach to the group - even though he (obviously) knew more than us, he made us feel that we were learning from each other. When we were broken out into groups, he was always nearby and available to facilitate but he didn't hover or impose his views - he let us come to our own conclusions as a group. I found him able to point out areas of concern without being judgmental, and he was very generous and kind in his recognition of others. Basically, he really "gets" people!" "Larry and Bruce both have a great level of experience and understanding of the principles. They both gave very good examples and quotes to help us remember how to keep the principles in your mind when at your own company." "The hands-on walks on the shop floor to engage the people in the process was great! Knowing that the Shingo Prize is not the goal, rather a thorough understanding of The Shingo Model as the template, helped put the methods in context for our improvement journey." ENABLE builds upon the knowledge and experience gained during the DISCOVER EXCELLENCE workshop by focusing on the principles identified as Cultural Enablers: Respect the Individual and Lead with Humility. Cultural enablers make it possible for people within the organization to engage in the transformation journey, progress in their understanding and, ultimately, build a culture of excellence. Enterprise excellence cannot be achieved through piecemeal implementation of tools. It requires a widespread commitment throughout the organization to execute according to the principles of enterprise excellence. To succeed, organizations must develop management systems that align work and behaviors with principles and direction in ways that are simple, comprehensive, actionable and standardized. The work of a team is greater than the sum of its individual parts. Creating value for customers is ultimately accomplished through the effective alignment of every value stream in an organization. ALIGN concludes the Shingo workshops diving into the principles of Enterprise Alignment - Think Systemically and Create Constancy of Purpose. ​Build Excellence is the fifth workshop in the series.. It's the capstone course that takes all the detailed learnings from the previous courses built around the Shingo Model™ and addresses the integrated execution of systems that drive behavior toward the ideal as informed by the principles in the Model. BUILD EXCELLENCE helps build a structured road map to ex­ecute a cultural transformation built upon a foundation of principles, using tools that already exist within many organizations, to build systems that drive behavior to consistently deliver desired results. *DISCOVER EXCELLENCE is a prerequisite the Enable, Improve and Align workshops; all four are prerequisites for Build. Almost any organization can host a Shingo Institute workshop. Benefits include: getting two attendees in the class for half price and valuable feedback from knowledgeable colleagues and Certified Facilitators on your lean implementation through the shop floor exercises completed during the workshops - all this in exchange for a training room, feeding the group, and access to your people and processes. Check out the Host Site Checklist Survey to see if your site meets the criteria for hosting or call us at 617-969-1396 to learn more and schedule your workshop! The Shingo Institute and GBMP have partnered with MyEducator to provide a Shingo Model Associate Overview Training Course. Users will be able to experience Shingo training materials from the comfort of their home or office on their computer, tablet, smartphone, or other mobile device. The Associate Overview Course consists of six separate learning modules which include video, images, text, and practice assessments. The course provides an ideal introduction to the Shingo model and its principles. Visit the website here and click on About This Course to view a brief video and read more. Email kaden@myeducator.com to schedule your FREE DEMO and/or to purchase the course for your team today! The Shingo Institute’s mission is to guide leaders in creating sustainable, principle-based cultures of excellence. Leaders around the world have invested a substantial amount of time and money on initiatives that achieve positive results. However, it is hard to maintain and sustain momentum. Each new tool becomes another possible solution or "best practice" only to create confusion that often results in what we call the "sugar high" - a temporary boost in results accompanied by a fleeting feeling of victory. People begin to believe that sustainable solutions are not only elusive, but that each new initiative eventually becomes "flavor-of-the-month" and leaves unfulfilled aspirations. The Shingo Model™ is not an additional program or another initiative to implement; rather, it introduces Guiding Principles on which to anchor your current initiatives and to fill the gaps in your efforts towards ideal results and enterprise excellence. GBMP is proud to be a licensed affiliate of The Shingo Institute. The Shingo Prize is the world’s highest standard for operational excellence. The Shingo Prize® is based on a complete assessment of an organization’s culture and how well it drives world-class results. Shingo examiners focus on the degree to which the Guiding Principles of the Shingo Model™ are evident in the behavior of every employee. The examiners observe behavior and determine the frequency, duration, intensity and scope of the desired principle-based behavior. They also observe the degree to which leaders focus on principles and culture, and managers focus on aligning systems to drive ideal behaviors at all levels. This focus is unique in the world and is the most rigorous way to determine whether an organization is fundamentally improving for the long-term or just going through the motions of another flavor-of-the-month initiative. Learn more about challenging for the prize, and download the application guidelines and form here.